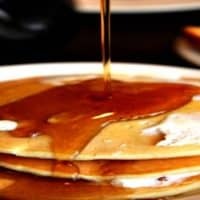 Homemade Pancake Syrup Recipe - Easy and Inexpensive! This easy homemade pancake syrup recipe can be a real money-saver. The price of maple syrup is on the rise, and not just because of the economy. An unusually warm spring cut the sugaring season short throughout the country which means that 100% pure maple syrup is now almost as precious as gold. Now, I’m not saying that 100% Grade A Maple Syrup isn’t worth it. The stuff is amazing! 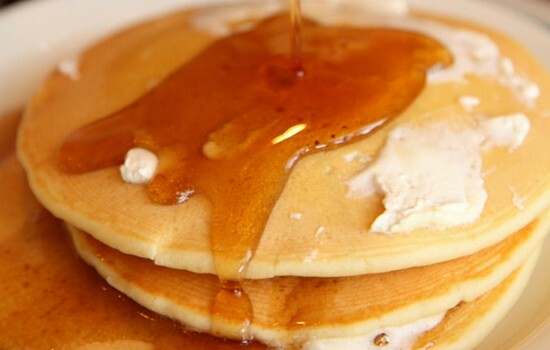 But here’s something that may surprise you: most syrup sold in stores is fake. Who knew, right? The real, certified maple syrup costs a ton more than Mrs. Butterworth’s. If you’ve got kids who love to pour their own, the price difference can make you want to cry. And here’s something else that might surprise you: the majority of Americans prefer the fake stuff! Since that’s the case, why spend a small fortune on it when your kids won’t care, and you won’t taste the difference? Oh, and as a bonus, there’s no high-fructose corn syrup in this homemade pancake syrup recipe — something you can’t say for Mrs. Butterworth’s. • Brush it on freshly cooked bacon as it comes out of the oven. • Add it to oatmeal or whatever hot cereal starts your day. • Use it to glaze ham or salmon. Or try brushing it on a whole chicken before roasting. It’s insanely good! • Brush it on carrots or other vegetables before roasting. Seriously, try it with brussels sprouts and watch your kids change their mind about them! • Sweeten Greek yogurt with it for a delicious dessert-like treat. • Flavor whipped cream with it. • Mix it with butter to make maple butter for biscuits and toast. • Pour it on ice cream. So good! • Use it in place of sugar to sweeten beverages. • Drizzle it over mashed sweet potatoes or butternut squash. • Combine it with mustard for a delicious dip for chicken nuggets. • Mix it with beef stock and reduce it to make a maple glaze for steak that will blow your mind. 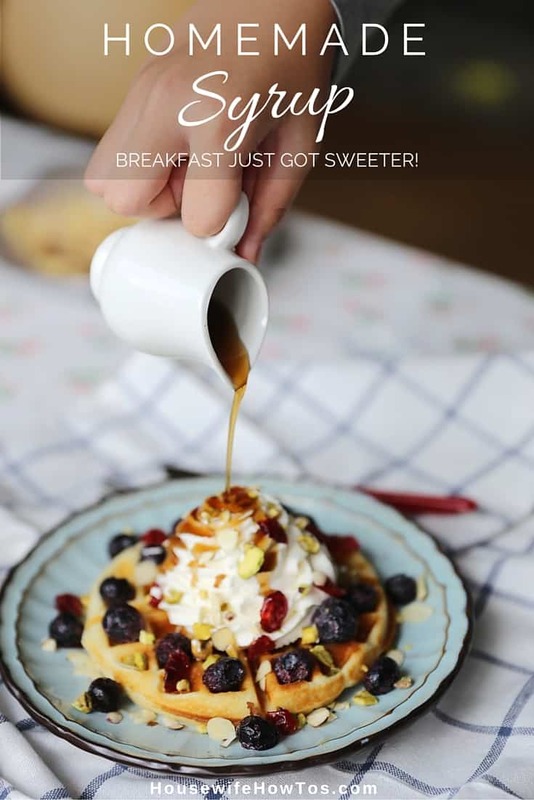 • And, of course, you can’t go wrong pouring syrup over homemade pancakes and waffles. Did you know most pancake syrup sold in grocery stores isn't pure maple syrup? Considering how much it costs, that's shocking! Make your own for just pennies and get the same flavor. Bring the water, white sugar and brown sugar to boil in a sauce pan over medium-high heat. Reduce heat to medium-low and stir in maple extract. Simmer 5 minutes and serve. Can keep in fridge up to 1 month in a tightly-sealed container.